Declarations of Independence: New Countries in 2015? The past year came and went without any major, credible claims of new countries. This was a big contrast to 2014, which saw declarations of independence coupled with real territorial control for Crimea, Donetsk, and Lugansk, all undisputed parts of Ukraine until then, plus the so-called "Islamic State" (formerly ISIS/ISIL) carved out of Iraq and Syria. While the Republic of Crimea ceased to exist after controversially merging into Russia shortly after declaring independence, the "Islamic State", Donetsk, and Lugansk are still holding out today. 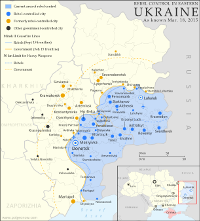 The two Ukraine breakaways are settling into place under a long-term ceasefire, though in 2015 they gave up their aspirations of forming a united country called Novorossiya ("New Russia"). While highly autonomous Iraqi Kurdistan and semi-independent Cook Islands both talked in 2015 about seeking full independence, no major moves came from either of them. In an echo of an aborted 2014 attempt at independence, rebels in the Central African Republic declared the autonomous "Republic of Logone", but stopped short of claiming full independence. Meanwhile, in Fiji a project to carve out two anti-Muslim "Christian states" managed to be taken seriously enough for the country's government to launch a police crackdown on the separatists. And as usual, the big dreamers of the world were not to be discouraged. In April, a small-time politician from the Czech Republic declared a new tax-free, bitcoin-trading libertarian country called "Liberland". His would-be territory? A patch of technically-unclaimed land along the disputed border of Serbia and Croatia. As so-called "micronations" go, Liberland is having a pretty good run, prompting (critical) comments from established countries, accumulating tens of thousands of "citizenship applications", and reportedly gaining recognition from 2014's celebrity micronation - the "Kingdom of North Sudan" as claimed by an American seeking to make his daughter into a real princess. As with all micronations, recognized countries are having none of Liberland's independence claims, with its leadership repeatedly barred from entering the "country" by Serbian and Croatian authorities, who fully expect the border territory to be granted to one of them once they properly agree on their national boundary. It has also been widely denounced as a scam by other micronations, after unrealistically offering citizenship (at a hefty fee) to thousands of desperate Syrian and Libyan refugees. Regardless, Liberland has served as an inspiration for other would-be micronationalists: A group of Polish tourists soon after declared the state of "Enclava" in what they thought was neutral ground between Slovenia and Croatia, before being shut down by the Slovenian government and re-declaring their nation on a patch of ground near Liberland's. Meanwhile, in June a Bulgarian businessman declared the "Principality of New Atlantis" on behalf of a floating raft of lava rock in international waters near New Zealand (which he has presumably not visited), after never hearing back from the Bulgarian government on his suggestions to annex it to Bulgaria. In December, the idiosyncratic dictator of the Gambia declared his country an "Islamic republic", with some sources saying the country's official name would be changed from Republic of the Gambia to Islamic Republic of the Gambia. However, as far as we can tell no name change has been registered formally, either with the UN or through legislation. Meanwhile, while not usually considered a "country", the Boko Haram rebel group that controls territory in Nigeria has taken to calling itself the "Islamic State West Africa Province" (ISWAP) after purportedly joining the Syria- and Iraq-based "Islamic State" (ISIS) organization in March. Earlier in the year, Yemen's internationally-recognized president declared that his capital had moved from Sana'a (currently occupied by the Houthi rebels) to the southern port city of Aden. However, this hasn't formally come to pass either, and he may have been speaking figuratively anyway - certainly his government, if it's currently based in Yemen at all, would for practical purposes be located in Aden for now. There was actually quite a bit of flag news in 2015, with both Fiji and New Zealand preparing for potential changes to their flags. While Fiji's planned flag update got delayed into 2016 pending a decision by the country's military government, New Zealand's democratic flag-replacement process moved forward with a nationwide referendum in November and December. In the vote, New Zealanders chose one design for the potential new flag, with the new proposal to go up against the existing flag in a second vote this March. We also reported in 2015 on a small change to Paraguay's flag made two years earlier - one of the many quiet flag changes that didn't come to our attention until well after the fact. 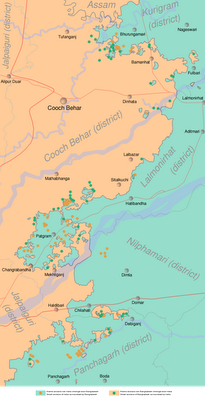 Summer 2015 saw a long-awaited major change to the border between India and Bangladesh, when the two countries traded over 100 enclaves (pieces of territory surrounded entirely by territory of the other country). 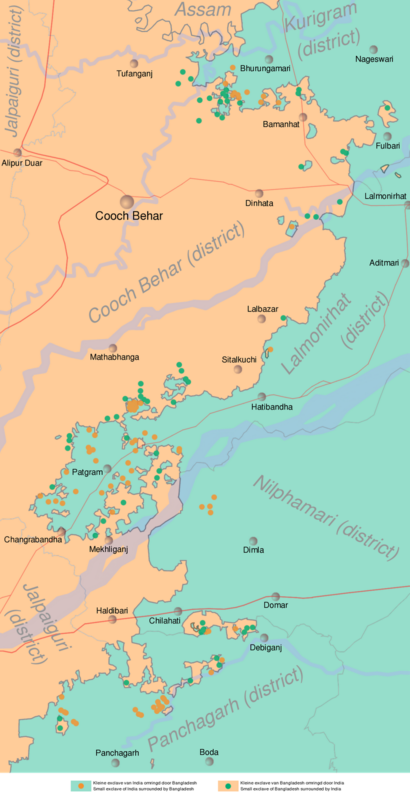 Known as the Cooch Behar Enclaves or "chitmahals", these "islands" of Indian territory in Bangladesh and Bengladeshi territory in India formed the majority of all the world's national-level enclaves, but have now been mostly erased in an effort to simplify the border. Stay tuned to PolGeoNow in the near future for a full report on the border change, with a before-and-after map of the differences! Meanwhile, December 2015 saw the resolution of a small border dispute between Costa Rica and Nicaragua. A ruling from the UN's International Court of Justice (ICJ) sided mostly with Costa Rica in the disagreement over administration of a small island near the mouth of the San Juan River. Niger and Burkina Faso also concluded arrangements to implement their own border deal based on another ICJ ruling from 2013 (map of the the Niger-Burkina Faso border dispute and resolution). 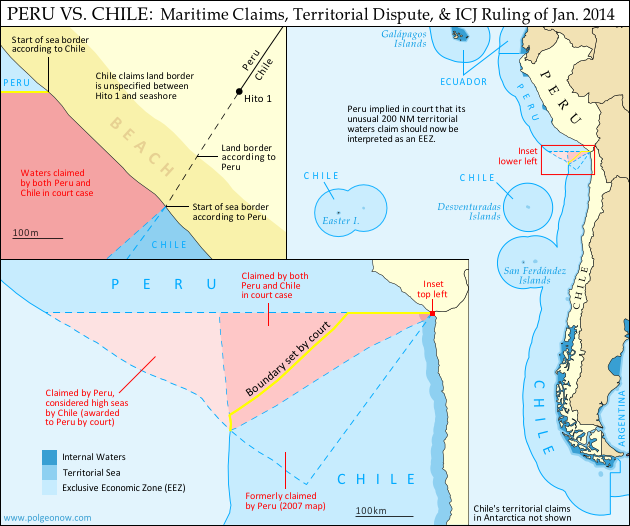 An apparent border dispute arising between Nigeria and Benin may have been new in 2015 (PolGeoNow is currently looking into it), while Peru and Chile's disagreement over a tiny piece of coastal land gained prominence a year after an ICJ ruling settled their adjacent sea border (map of Peru-Chile sea dispute, resolution, and remaining land dispute). Meanwhile, territorial disputes over the Falkland Islands (UK-Argentina), the Senkaku/Diaoyu Islands (China-Japan-Taiwan), and the islets of the South China Sea (China-Philippines-Vietnam etc.) continued to be hot issues in 2015, while old disputes over Gibraltar (UK-Spain) and Machias Seal Island (USA-Canada) escalated slightly. A low-level territorial dispute along the coastline of India and Pakistan also made news after reports that hundreds of fisherman had been jailed for crossing carelessly or accidentally into the disputed zone. 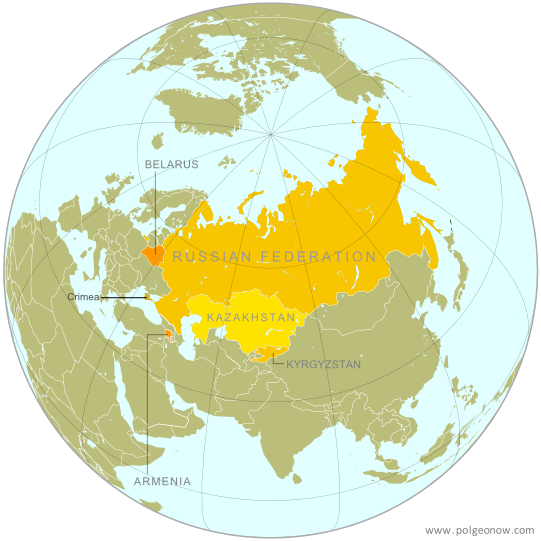 The Eurasian Economic Union (EEU/EAU/"Eurasian Union") was officially launched by founding members Russia, Belarus, Armenia, and Kazakhstan. In related news, disputed Kosovo was narrowly denied membership in UNESCO, while Bolivia was approved for membership in Mercosur, pending ratification by Brazil and Paraguay. 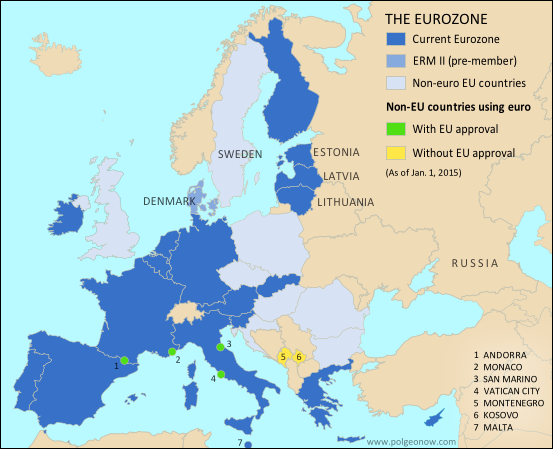 Meanwhile, African countries agreed in principle to the creation of a massive free trade area spanning the length of the continent, while European integration degraded as some border controls in the free-movement Schengen Area were reactivated, border fences went up on the edges of the area, and (so far unrealized) fears arose that Greece would be forced to leave the Eurozone. As usual, 2015 saw several small changes in diplomatic recognition for the world's disputed, partially recognized countries. Kosovo received the most recognitions of any disputed country in 2015, though only narrowly, with its proclaimed independence newly acknowledged by UN member Antigua and Barbuda plus semi-independent non-UN countries Cook Islands and Niue (both loosely associated with New Zealand). This was a continued slowdown from 2014, when Kosovo received four new recognitions. Palestine also was only recognized by one more UN member country in 2015, the Caribbean island of St. Lucia. However, a bigger win for Palestine came from the non-UN side, when the Holy See (administration of the Catholic Church and Vatican City) clarified its own recognition of Palestine for the first time. By the numbers, this year was a slight improvement for Palestine over 2014, when it also received one UN-member recognition but nothing else. In a trend continuing from 2014, at least three more European countries' legislatures - those of Belgium, Italy, and Greece - passed symbolic votes supporting the recognition of Palestine; however, their governments stopped short of actually extending recognition. The Sahrawi Arab Democratic Republic (SADR), claimed independent government of Western Sahara, saw a small uptick in official support, with African island country Mauritius reinstating recognition after "withdrawing" it the previous year. The SADR had seen a similar slight improvement to recognition in 2014, with Mauritius's initial withdrawal offset by reinstatements from two other countries. In related news, the US and Cuba reestablished full diplomatic relations for the first time in half a century (though they technically already recognized each other as countries), and Palestine successfully argued that UN Observer States (currently just Palestine and the Holy See/Vatican City) should have their flags flown alongside those of UN member countries at the United Nations headquarters in New York. 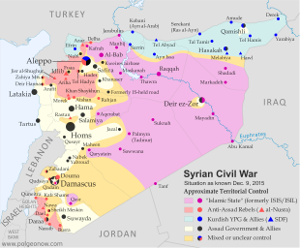 When it came to rebel control of territory in 2015, headlines continued to be dominated by the Syrian Civil War, where rebels consolidated their power in the northwest, while Kurdish-led forces dealt significant defeats to the so-called "Islamic State" (IS, formerly ISIS) along the northern border with Turkey, even as IS fighters staged a rapid takeover of the expansive but sparsely-inhabited Syrian Desert region. A tiny Turkish enclave in Syria, the Tomb of Suleyman Shah, was also moved by Turkey to avoid damage from IS forces. 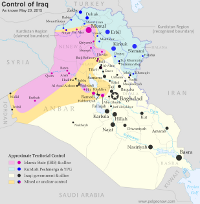 In neighboring Iraq, changes to territorial control were fewer and farther between, with major events including the government recapture of Tikrit, and the loss of Anbar provincial capital Ramadi to IS, followed by its recapture at the end of the year. PolGeoNow also began renewed coverage of Yemen in 2015, as the Houthi rebels expanded their power beyond the capital city of Sana'a and all the way to the southern port city of Aden, even as Al Qaeda's local affiliate once again captured much of the country's southeast. The intervention of Saudi Arabia and allies, in what has come to be seen as a Saudi-Iranian proxy war, successfully pushed back the Houthis from southern Yemen, but at the end of the year they were still firmly in control of the capital and many other areas. Some reports claimed that a new rebel group had seized territory across the border in Saudi Arabia itself, but the claims have so far been impossible to confirm. 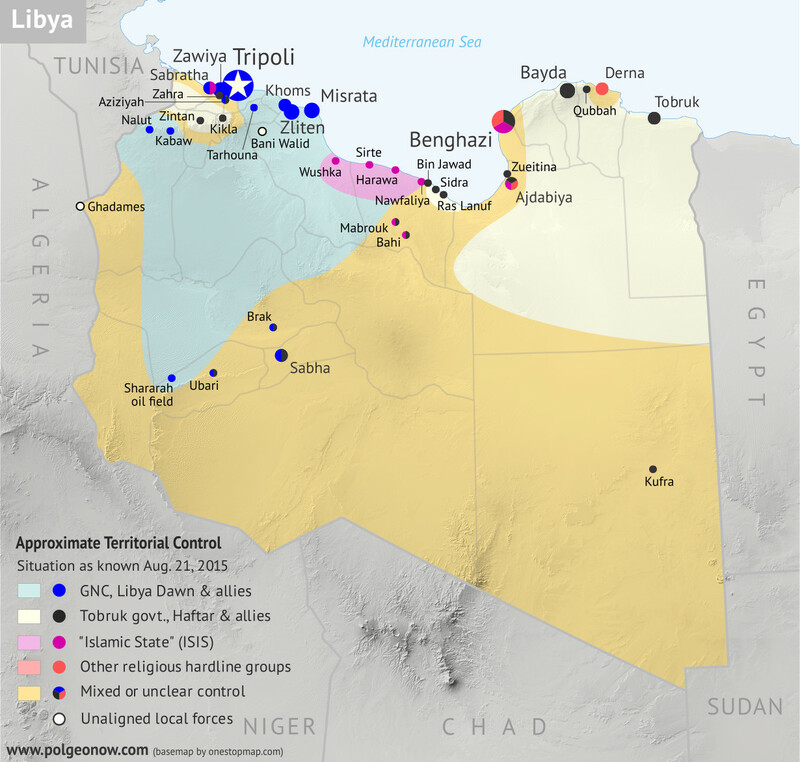 Long awaited map coverage of Libya's new civil war also came to PolGeoNow in 2015, with our first map of control by rival governments and the "Islamic State" published for free in August. Meanwhile, fighting between Ukraine's government and Russia-backed separatists came nearly to a halt early in the year, with the signing of a ceasefire deal that has more or less held until today. 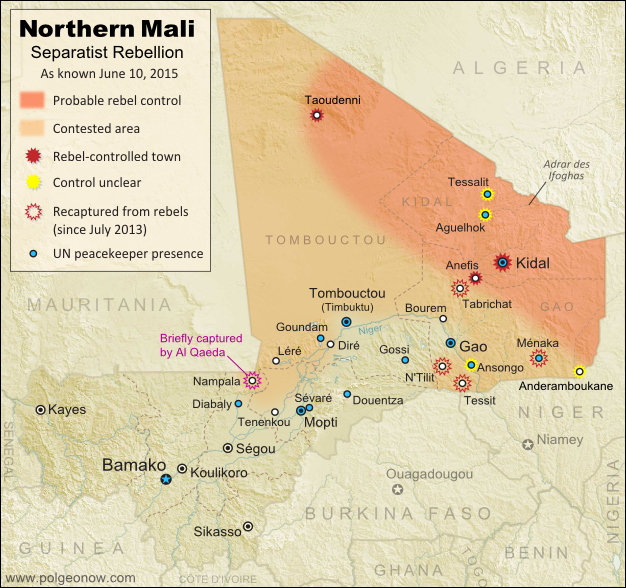 Separatist rebels in Mali saw scattered challenges to their partial control of the country's far north, but fighting there also largely ended after a peace deal. Nigeria, on the other hand, had a very eventful year in its fight against the Boko Haram rebels, who were purportedly accepted as an affiliate of the so-called "Islamic State". 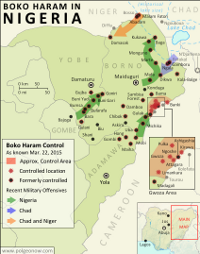 The religious extremist group held large parts of Nigeria's Borno and Yobe states at the beginning of 2015, but was nearly stripped of all control after a regional coalition force struck quickly from multiple directions. By late 2015, the group was thought to maintain control of only a few small towns, if anything at all. Regardless, the new President Buhari's promise to defeat the rebels by the end of the year rang hollow, with bombings and other attacks continuing unabated. Meanwhile, Afghanistan has seen an upsurge in territorial control by the Taliban rebels, as well as activity from groups associated with the so-called "Islamic State". Most notably, Taliban fighters captured provincial capital Kunduz in late September, before withdrawing under heavy counterattacks a couple weeks later. A brand new map of territorial control in Afghanistan is in the works as you read this, so stay tuned our PolGeoNow's coverage in the new future! Much of South Sudan remained contested between the government and rebels in 2015, while the country moved slowly toward a more stable peace deal, and nearby Central African Republic also saw some small changes to territorial control for its Seleka rebel group. To the east, Al Qaeda-affiliated Al Shabaab rebels continued to contest territory in Somalia and even Kenya, even as factions of their own group splintered off to join the "Islamic State" (and reportedly captured at least one town). Elsewhere in Africa, rebels continued to contest territory in southern Sudan and the country's western Darfur region, and eastern Democratic Republic of the Congo remained under the ever-shifting control of dozens of different armed groups. Burundi and Burkina Faso saw buildings in their capitals briefly occupied by armed opposition in purported coup attempts, while Mozambique's government continued to clash with Renamo rebels working out of isolated bases. In Southeast Asia's Myanmar (Burma), decades-long fighting continued between the government and rebel groups, notably including the major territory-holding Kachin Independence Army, while a long-dormant conflict reignited with another rebel group in the Kokang region. Meanwhile, increasing organized crime in Central America's El Salvador resulted in some describing much of the country as "under the control" of gangs, though it was unclear exactly what kind of "control" this was. 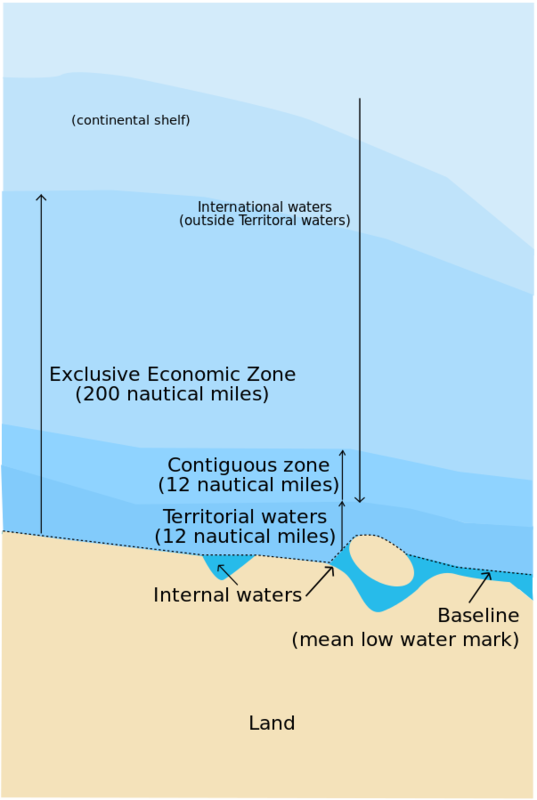 Jurisdiction over much of the world's oceans is still unresolved, with neighboring countries often disagreeing on where the lines fall between their respective waters, which include both territorial seas (a thin strip along the coast) and exclusive economic zones (EEZ; a much wider band where they have economic control but not full sovereignty). Though considerably less active than 2014, the past year continued to see its share of changes to these maritime claims. International law allows countries to claim rights to resources on the "continental shelf" well beyond the 200 nautical mile limit of their EEZs, and many countries were still in the process of doing so in 2015. Early in the year, Russia submitted its formal claim to an area of seabed under the North Pole, after earlier making a more modest claim in the Arctic Ocean (Denmark, via autonomous Greenland, submitted its own claim to the North Pole seabed a few months before). Brazil also submitted a formal claim to an area of seabed in the South Atlantic, and while 2009 Pakistan's claim to part of the Arabian Sea bed was officially endorsed by the UN body that regulates continental shelf claims. However, not all interaction related to the seas this year was friendly. Among other events, a long-standing dispute over the Caribbean waters off Venezuela and Guyana began to get nasty, Somalia and Kenya talked tough over a pending court case to resolve their sea boundary, and Libya accused Italy of violating its territorial waters. Though creating a new U.S. state is a major legislative ordeal, many countries' provinces and other divisions are created, redrawn, or abolished at will. The many changes to the world's administrative subdivisions can be hard to keep track of, but luckily we have the wonderful Statoids website to help with that. 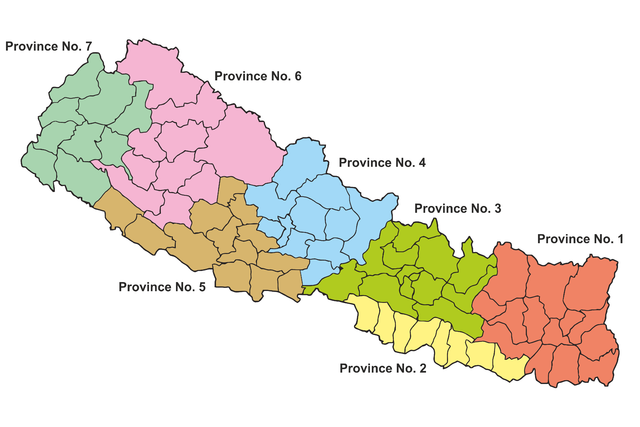 In 2015, Italy, Morocco, Nepal, and the UK region of Northern Ireland all conducted complete overhauls of their subnational divisions, replacing old provinces or equivalents with new systems of administrative units. The Democratic Republic of the Congo also nearly doubled its number of provinces in a major reform, while the president of civil war-stricken South Sudan controversially announced that he was nearly tripling the country's provinces (however, the move met with heavy opposition and probably hasn't gone into effect). 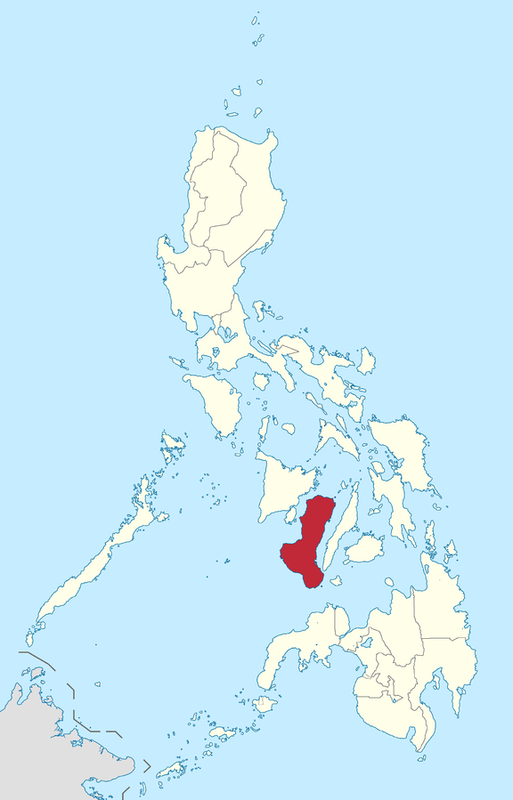 Additionally, the Negros Island Region became the Philippines' 18th region (a division above the province level), and Rumonge became the 18th province of Burundi. Just before the beginning of the year, Taiwan's Taoyuan County was upgraded to become the disputed country's sixth province-level "special municipality", and renamed Taoyuan City (previously the name of one of its subdistricts). In the world of sub-province-level divisions, there are almost certainly many changes that slipped through without being noticed in 2015, but there are a few we heard about: France shuffled around its some of its districts, Luxembourg merged two of its "communes" (something like a township), and Peru created a new district in a tiny patch of land disputed with Chile (left with unclear status after the two countries settled a territorial sea dispute in court). Meanwhile, in the US, the state of South Dakota's Shannon County changed its name to Oglala Lakota County to better represent its indigenous population, and Alaska's Wade Hampton Census Area (a statistical unit equivalent in scale to a county) had its name changed to Kusilvak Census Area. Wade Hampton was a pro-slavery politician in the US South who only had the region named after him because his son-in-law served as a judge in a nearby Alaska town. Though not technically an administrative subdivision, we'd be remiss not to mention the Kooki Chieftanship's secession from the Buganda Kingdom - the two being semi-official traditional monarchies within Uganda, exercising limited local powers. The past year brought one major change to the world's money system: The Zimbabwe dollar was formally demonetized at the end of September, meaning that it's been erased from the list of currencies used as legal tender in the world's countries. Zimbabwe had already been phasing out its dollar for some time, in favor of more stable foreign currencies. Several changes to the world's time zones happened in 2015. First, Mexico created a new time zone for the state of Quintana Roo, moving the clocks in tourist resort-town Cancun one hour forward to match US Eastern Time, where many of the state's visitors originate. Then, North Korea added a whole new time zone to the world map, setting its clocks back 30 minutes from South Korea and Japan, to become the only place where standard time is 8 1/2 hours ahead of UTC (formerly Greenwich Mean Time). 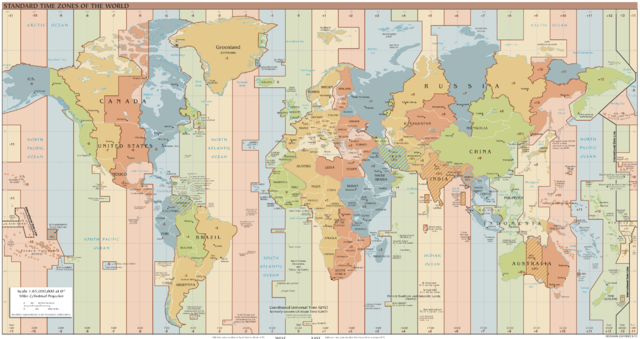 Meanwhile, Australia deleted a world time zone when it approved a time change for the tiny territory of Norfolk Island, once the only place in the world at +11 1/2 hours, which is now at +11 along with much of the Melanesia region. It also aligns with southeastern Australia part of the year, when some provinces go forward an hour for Daylight Savings Time while Norfolk keeps its clocks the same. Chile also effectively changed its time zone by deciding to never end Daylight Savings Time (DST), leaving it at -3 hours for the whole year instead of switching back to -4 in the winter (distant Easter Island, also part of Chile, will stay at -5 hours instead of switching back to -6). Meanwhile, Uruguay is also now permanently at -3 after abolishing DST, which used to move it ahead to -2 in the summer. Mongolia, for its part, reintroduced DST after a history of switching back and forth, while the British Caribbean territory of the Cayman Islands introduced DST for the first time. In other time zone changes, the US town of Metlakatla switched from Pacific Time (-8) to Alaska Time (-9), while the Canadian town of Fort Nelson switched from Pacific Time (-8) to Mountain Time (-7). Turkey and Palestine changed the dates that Daylight Savings Time was in effect, and Egypt planned to observe DST in 2015, but changed its mind in the face of public opposition. What major political geography events will happen in 2016?